The new Gladstone Motorcycles SE has been unveiled, and it looks rather nice. 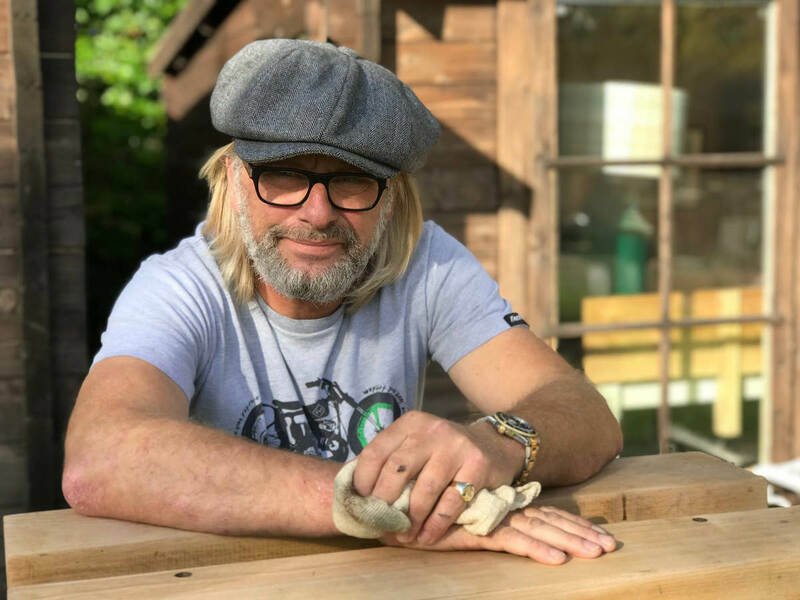 The company was founded back in 2012 by TV presenter and biking enthusiast Henry Cole as a bespoke British motorcycle brand. And the SE is the follow-up to their original model, the Gladstone No.1 bobber, which appeared in 2013. It turns out what Willison and Cole want to ride is a bobber which features some Gladstone trademarks. Those include a Metisse nickel-plated rigid frame, a bespoke alloy petrol tank and fake oil tank, and a 5″ Smiths analogue speedometer. But there are some significant changes from the nine hand-built No.1s that the company previously produced. Most noticeable is the paint, with the new model adorned in Aston Martin Rosso Red. That’s a bolder look than the original model, which came in black. 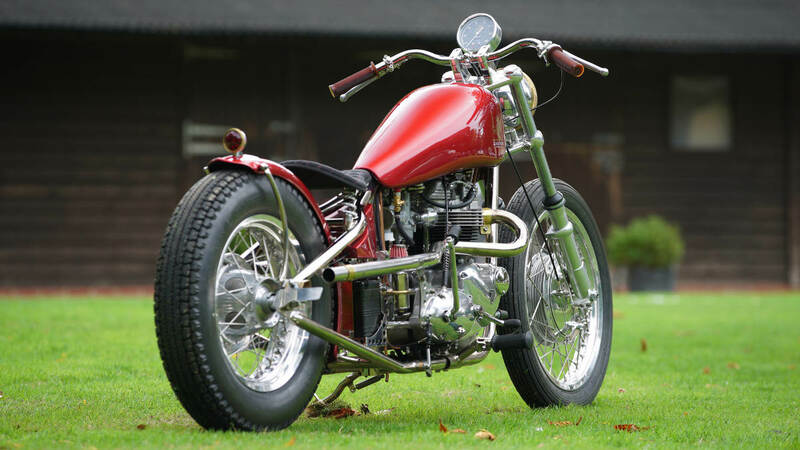 The Gladstone Motorcycles SE also swaps out the 750cc Triumph T140 engine of the No.1, which came with a 5-speed left foot gear shift. 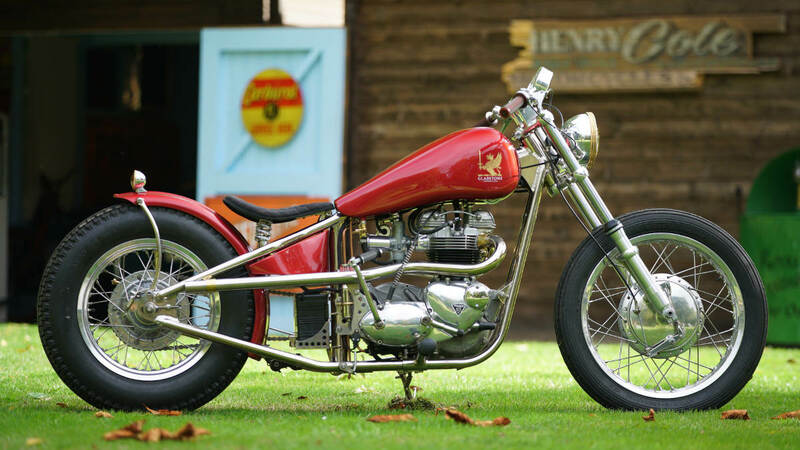 Instead, you get a refurbished 650cc 4-speed Triumph T120R motor, with a right foot gear shirt and single carburetor. There are now Norman Hyde M-bars, rather than the flat examples from the No.1. And the Gladstone Motorcycles SE also gets shorter, 720mm Ceriani front forks. Another change is that a Norton TLS front brake replaces the Ceriani replica Grimeca 4-leading shoe drum. Rather than the Monza design used on the NO.1, the SE gets a flush-fitting petrol cap. And there are Doherty levers, plus natural rubber Tommaselli handlebar grips. 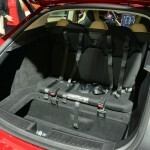 The Alcantara seat comes with red stitching to match the Aston Martin paint. And the headlamp and tail light get brass bezels. 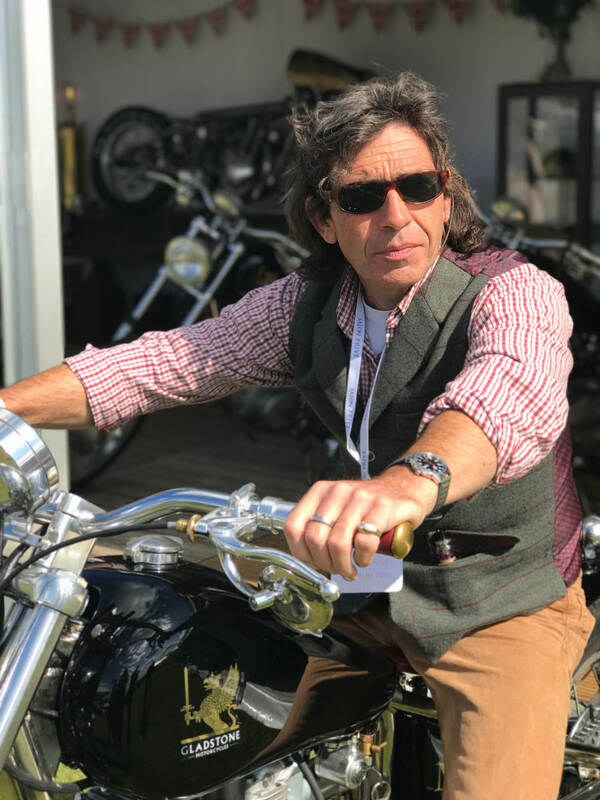 As a bespoke British motorcycle manufacturer, customers get to tailor the Gladstone Motorcycles SE to their preference. Which means you can request changes to the colour finishes, grips, saddle and more. But you also need to be a little patient, as there’s a 12-month delivery time from when you order. Following the release of the 9 Gladstone No.1 models, the waiting list started for the new SE. And it’s a bit of an investment, with prices starting from £40,000. Hence why the company describe their customers as ‘discerning hooligans’. 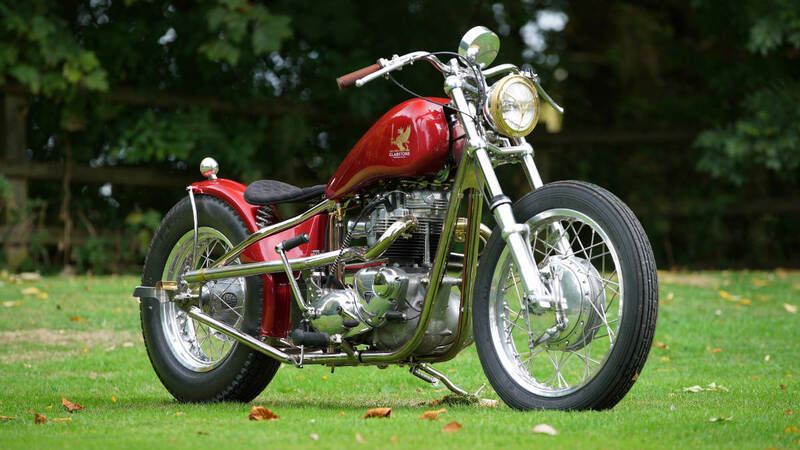 But you do get something created with the iconic classic Triumph engine, a rather lovely frame, and numerous other hand-made and bespoke features for things like pipes, brackets and more. So if you fancy ordering the new Gladstone Motorcycles SE bobber, and you have the finances, you can contact the company via their website to get the building started. It’s fair to say our first drive of the Tesla Model S is not entirely going to plan. Fellow scribe Phil Huff is peering through the rear window with a slightly quizzical expression. “You’ve broken it,” he jokes. It later transpires this assessment might not be so far from the truth. Right now, however, we’re locked outside what could well be the future of motoring, stranded at our photo location just above the Milbrook Hill Route (famously the road on which 007 totalled his Aston Martin in Casino Royale). There are worse places to be marooned, admittedly, and it provides a good opportunity to reflect on what we have gleaned about the car so far. The Model S has been around for a couple of years now, but recent months have seen a growing number taking to our roads. It’s a discretely handsome sports saloon with a generous luggage capacity and enough room to seat five adults. 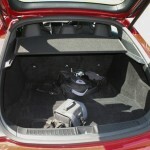 There’s even the option of two additional rear-facing seats in the boot, should you need them. Outwardly, there are almost no clues to the fact that this is an all-electric vehicle, but as such it’s exempt from road tax and the Congestion Charge. Perhaps more importantly, it also falls into the lowest bracket for company car tax. Things are a little more radical on the inside. The massive 17-inch touch screen display is not only the largest, but also the cleverest that we’ve encountered, controlling everything from the sat nav to the sunroof. It’s like sitting inside Google. The dashboard itself is a strikingly simple design, clad – in the case of our test car – in Alcantara and carbon fibre. The quality of the materials is first rate and they lend the cabin a bespoke feel that distinguishes the Tesla from its more mainstream competitors. But enough of the pleasantries, what’s it like to drive? Really rather good, in short. You can feel the mass when pressing on – it weighs a not-inconsiderably 2.1 tons – but the combination of prodigious thrust and near-total silence from the electric powertrain is quite surreal. Right now the internet is awash with videos of this car’s twin-engined evil twin, the P85D, demolishing supercars from a standing start. Our test car is ‘only’ the single-engined carisoprodol buy rear-wheel drive S85 model, but even this comparatively mild example of the breed feels good for its claimed 5.4 second nought-to-sixty time. Where the Model S really scores, though, is response. With 440 Nm of torque available instantly, right from a standing start, overtaking urge is never more than a twitch of the toe away. There’s no shortage of grip either, with decent chassis balance and chunky, if somewhat lifeless, steering. A small confession here: in the brief time we had with the car, I didn’t think to check which of the two braking modes had been selected. As sampled, lifting off the accelerator resulted in something not unlike conventional engine braking, while the middle pedal had a pleasingly natural feel. It certainly wasn’t the alien experience you might expect from a regenerative braking system. All of this, of course, means little if you can’t get in to drive it. Having soaked up the Bedfordshire sunshine for 20 minutes a support car is dispatched to recover us and the stricken Tesla. The central locking issue is eventually traced to a slightly unlikely culprit, in the form of the dictaphone I’d brought along to record my notes. Apparently this had interfered with the keyless entry fob lying next to it in the centre cupholder. We’ll let you decide whether that constitutes a teething issue or (as one of Tesla’s European representatives insisted) user error. But the fact is, the fundamentals of this car are superb. The Model S is reassuringly conventional when you want it to be and yet a genuine game-changer in other respects. It’s more than capable of competing with its internal combustion powered competitors in terms of comfort and performance, with anecdotal evidence suggesting there’s enough real-world range to get you from, say, London to Birmingham. Throw in ultra-low running costs, plus more pioneering technology than you can shake a stick at, and it also starts to look like good value, starting at £59,380 on the road. This not a car reserved for hair shirt environmentalists, nor is it a low-volume concept like Volkswagen’s plug-in hybrid XL1. The electric car, it seems, is very much a reality. The post Tesla Model S – Driven appeared first on Driving Spirit.